In book three, Dorothy returns to Oz. Whereas in the first book, Dorothy arrives through the element of Air, this time she arrives through the element of Water. When Dorothy left Oz she lost the Silver Slippers that she would have needed to return by choice. She was exiled from the magical world of Oz. When she returns, Dorothy is dunked in water, which is a punishment inflicted on woman and used as a way to identify witches. Dorothy is dunked as woman and re-awakens to her magical witch self, perhaps to herself in the role as the Witch of the East, forgotten during her exile from Oz. This third book is about the way role and masks make us unconscious to our powerful selves. Through this story we hear how pride, power, vanity, & hierarchy out of whack creates difficulty or us on the path. On some level, I was reminded of the story of Inanna and the gifts of civilzation. When Dorothy leaves Oz, still being connected by responsibility to the mundane world of Kansas, she does not forget her magical self.This time Dorothy stays lucid and returns to Kansas with a way back when she choses. However, her return is not under her own power, but through the power of her friendships in Oz. 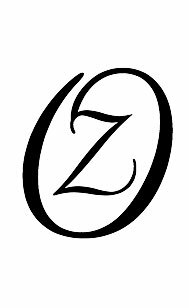 Book 3 is "Ozma of Oz"
The Nome King as ruler of underworld - (is this later?) Come to take the light away, by attacking Oz from the "outside" ... like Hades and Persephone. p56 The 3 part left, right, center trope is continued with Tiktok's wind-up mechanism in the 3rd book. (Ozma of Oz, 1907) Tictok's mechanism powers thinking when wound up on the left, speaking on the right right, and walking on the center of his back. This trope can be interpreted as the Oz equivalent to the Ha prayer of Feri, aligning the parts of the self in order to make magic possible. Ducking was a punishment that began in medieval times and continued through the 18th century. This was an innovation that used a cucking chair which was then submerged in water, and called ducking, or later dunking. 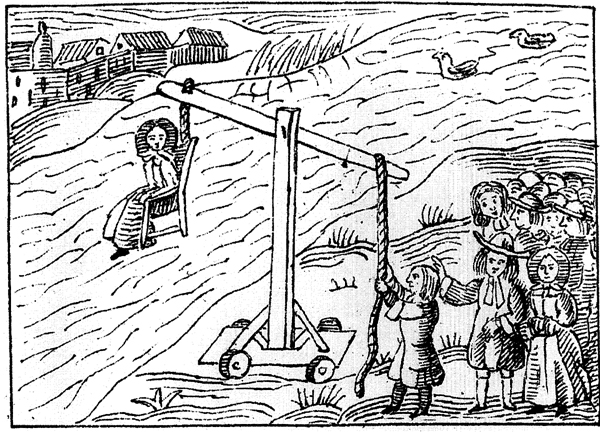 This punishment was primarily reserved for women, and was used as a test to determine if a woman was a witch. So, Dorothy makes her passage back to Oz through a traditional method used to test witches. D arrives via water; was air in 1st book. From air is chthonic, katabistic, coming from consciousness. D is coming back to herself, a re-awakening to the sleeper exiled to KS with the loss of the silver shoes at the end of book 1.
one might expect further journeys to begin in other elements, such as fire & earth. Of course, Ozma's story did begin in earth, the north, in book 2. 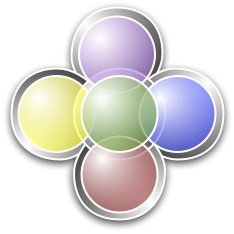 Perhaps another story begins in center. D is travelling with her intellect. not her animus. She is bringing lucidity into her experience of Oz, through the hen, as, the nomes point out, a connection to the outside (non-fairy) world. yellow hen @ dawn p24, lays eggs (symbols of outside world) each day. storyteller voice p91, & c.
who is I that is speaking? p227 storyteller voice again, speaking collectively w/ audience. is this a tarot card?! what are the two pillars beside the throne? 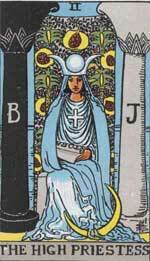 ( other than mercy & severity, w/ glinda as beauty in the middle) - the high priestess card. p110 D & Ozma "love her dearly"
p115 fate / free will? p123 "lord it over me"
p124 "associate w/ common" "respectable"
ozma won't plead to nome king p159- "must not command the Nome King..."
p161 shall ozma humble herself?" p165 "king can do no wrong" the wizard mask again! p216 billina had the right to feel important! the lion, scarecrow and ... well, woodman is still in charge. but the fake rulers D left in place are gone. the puppets of the witch of the west have been deposed! 27 warriors? paths on tree? p196 "not so honest as you pretend" but did he ever actually lie? is this like talk to Baba Yaga? p210 "I always keep my promises, no matter how foolish they are." p214 bothersome hens ... nome king as patriarchy? p223 king not treated us honestly / king is villain. Wait. What? billina "stupid to go back"
tiktok is like Osiris, alive but dead, making D like Isis here. p72 "In the Land of Oz," remarked Tiktok, turning toward them, "any-thing is pos-si-ble. For it is a wonderful fairy country." p255 the kings of the directions under ozma's rule. p257 jinjur again, beating up on man / illo of jnjur w/ gen's camp on wall. p220 evring, & c. Evanna, Evrose, & c.
p196 why can D have a slave (tiktok) but Nome King is evil is he does?! p250 scarecrow & woodman's bosom.